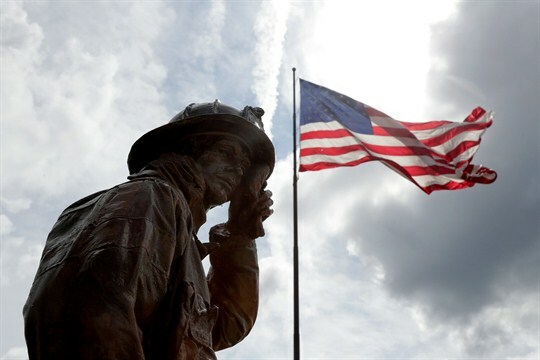 A statue depicting a New York City firefighter wiping sweat from his forehead stands at a display honoring first responders to the 9/11 attacks, Buffalo, N.Y., Aug. 10, 2018 (AP photo by Julio Cortez). A car-ramming attack outside the Parliament building in London yesterday highlights the ways in which terrorism and our reactions to it have radically shifted in the almost 20 years since 9/11. If London police end up confirming that the incident was in fact an act of terror, it will be the latest in a series of banal, low-tech attacks that have barely elicited a collective shrug.